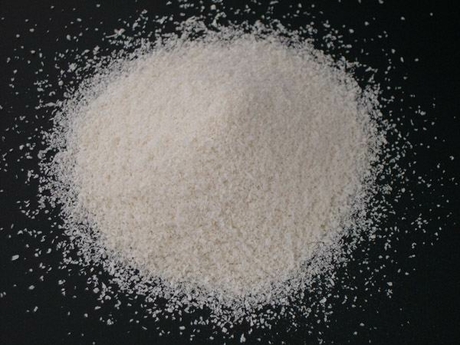 Sodium alginate is widely used as thickeners, stabilizers, binders in food, medicine, textile, printing and dyeing, paper making, daily chemical products and others. Sodium alginate food grade can be used as stabilizer to replace starch and gelatin in ice cream, at the same time, it can control the formation of ice crystals and improve the taste of ice cream. Sodium alginate food grade can be made into a variety of gel food for it can maintain good colloidal form and restrain exudate or contraction. 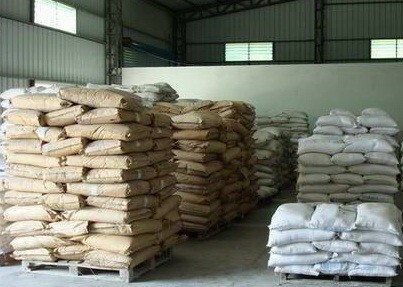 It is also suitable for frozen foods and Man-made food. It can replace agar to make crystal candy with characterics of flexible, non-stick teeth and transparent. (A) As thickener of beverage / dairy, sodium alginate has a unique advantage: the good mobility which makes the drink added sodium alginate taste smooth. When using sodium alginate as a thickener, you should try to use the product with large molecular weight and appropriately add Ca which can greatly increase the viscosity of the sodium alginate. (B) When used as stabilizer of ice cream and other cold drinks, sodium alginate is a high-end stabilizer. It can make ice cream and cold food have a smooth appearance and silky taste. Calcium alginate can form stable heat irreversible gel, therefore it does not get roughened (the growth of ice crystals) in the process of transportation and storage, and ice cream does not distort caused by temperature fluctuations. At the same time, when eat this ice cream, there is no peculiar smell. It not only improves the expansion rate but also raises the melting point, which helps the product quality and efficiency improved significantly. The product has silky and delicate mouthfeel as well as good taste. The added amount is relatively low, generally 1 to 3 ‰, and foreign dosage is between 5 to 10 ‰. (C) When used as stabilizer of dairy and beverage, the frozen milk stabilized by sodium alginate tastes good, have no sticky feeling and rigid sense, and when stirring, there is no viscous and a sense of hysteresis. Sidley chem is one of the most famous Sodium alginate suppliers in China. If you buy Sodium alginate or inquiry Sodium alginate price, please e-mail us through: Sales@visitchem.com to contact us. * Standard Packing: 25kg net in bag.